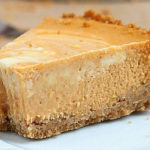 If you are trying to make the best Marbled Pumpkin Cheesecake gingersnap crust can really make a difference (Cinnamon graham crackers can also be used instead of ginger snaps). One good thing about this recipe is that it’s super creamy but not too sweet. So this can be a big hit at your Thanksgiving dinner or a birthday party. In a medium bowl, mix together the crushed gingersnap cookies, pecans, and butter. Press into the bottom, and about 1 inch up the sides of a 9-inch springform pan. Bake crust 10 minutes in the preheated oven. Set aside to cool. Bake 50 minutes in the preheated oven, or until filling is set. Run a knife around the edge of the pan. Allow it to cool before removing pan rim. Chill for at least 4 hours before serving. 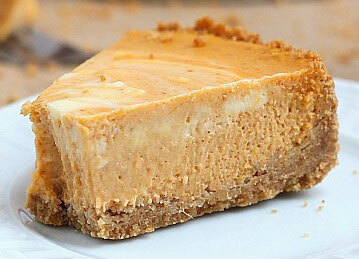 This recipe will show you how to make the best Marbled Pumpkin Cheesecake that is delicious, super creamy but not too sweet. Loved this cake! I will certainly make this again.